There were 710 press releases posted in the last 24 hours and 153,590 in the last 365 days. Asian shares were mostly higher Monday on hopes that U.S. President Donald Trump and his Chinese counterpart Xi Jinping will work around their issues. HONG KONG, HONG KONG, HONG KONG, November 26, 2018 /EINPresswire.com/ -- KEEPING SCORE: Japan's benchmark Nikkei 225, reopening after a holiday, added 0.8 percent to 21,815.55. South Korea's Kospi jumped 1 percent to 2,077.25. Hong Kong's Hang Seng index rebounded 1.3 percent to 26,251.11. The Shanghai Composite dipped 0.1 percent to 2,577.36. Australia's S&P/ASX 200 lost 0.7 percent to 5,674.90. Shares rose in Taiwan, Singapore and the Philippines, but fell in Indonesia. WALL STREET: Energy companies led a slide in U.S. stocks on Friday, as a plunge in oil prices weighed on sentiment. Trading volume was lighter than usual as markets were only open for a half day after the Thanksgiving break. The S&P 500 index fell 0.7 percent to 2,632.56, racking up its second correction of the year. It is now down 10.2 percent from its last all-time high set on Sept. 20. The Nasdaq composite shed 0.5 percent to 6,938.98 and the Dow Jones Industrial Average dropped 0.7 percent to 24,285.95. The Russell 2000 index of smaller-company stocks was less than 0.1 percent higher at 1,488.68. 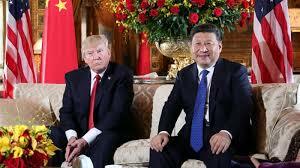 TRUMP-XI MEETING: Presidents Trump and Xi will meet at the Group of 20 summit in Buenos Aires at the end of the week. A trade dispute over Beijing's technology policy, which has caused them to impose tariffs on billions of dollars of each other's goods, is likely at the top of the agenda. Investors are watching to see if the leaders can arrive at an agreement to ease tensions that have been weighing on corporate earnings and the global economy. ANALYST'S TAKE: "As the current round of U.S.-Chinese trade talks only restarted in the last few weeks, hopes of a trade deal at this juncture could be too optimistic," Adrian Haliday of Altrice Investment Co. Limited said in a market commentary. "However, an agreement for talks over dinner suggests a higher level of engagement, which could result in a gentlemen's agreement not to escalate tariffs further." BREXIT DEAL: The European Union and Britain have finally sealed an agreement governing the latter's departure from the bloc on March 29. This comes after months of hesitation, stop-and-start negotiations and resignations. British Prime Minister Theresa May must now get her divided Parliament to back the deal, which leaves Britain subject to rules and obligations of the bloc at least until the end of 2020 and possibly longer. She is facing intense opposition from pro-Brexit and pro-EU lawmakers alike. JAPAN PMI: A private survey released on Monday showed Japanese manufacturing slowing in November. The Markit/JMMA flash purchasing managers' index fell to 51.8 in November from 52.9 in the previous month. New orders slipped into contraction territory for the first time since September 2016. Numbers above 50 on the index show acceleration. ENERGY: Oil prices recovered after plunging on worries that a slowing global economy could hurt demand for oil. Benchmark U.S. crude added 30 cents to $50.72. The contract plunged $4.21 to close at $50.42 in New York. Brent crude, the international standard, rose 59 cents to $59.39. It finished $3.80 lower at $58.80 in London. CURRENCIES: The dollar strengthened to 113.24 yen from 112.96 yen late Friday. The euro fell to $1.1335 from $1.1339. Find out more about our services and products by contacting us at info@altriceinvestment.com or visit our website – www.altriceinvestment.com for further information.